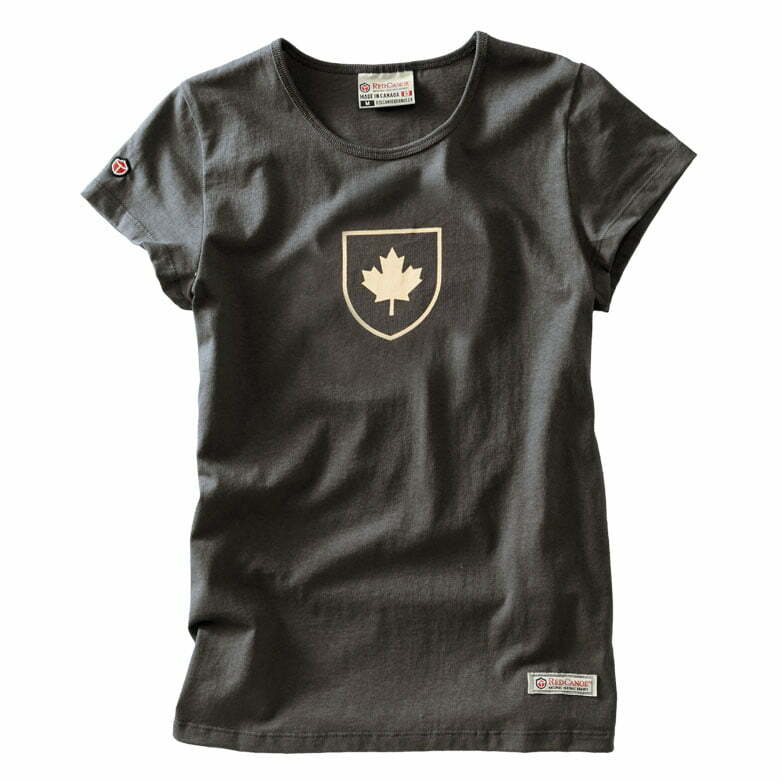 100% cotton slate T-shirt with inset sleeves and top stitching. 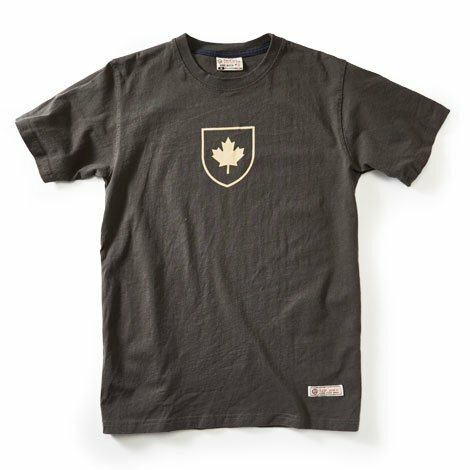 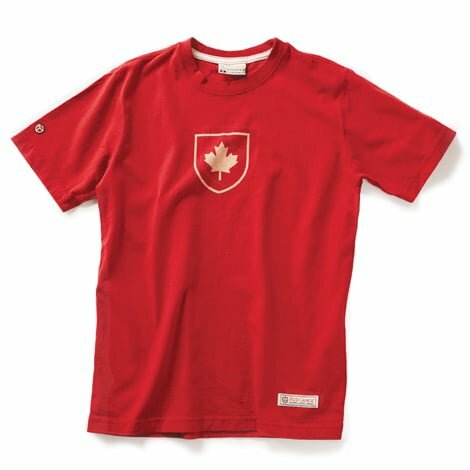 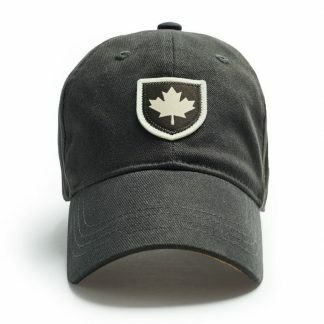 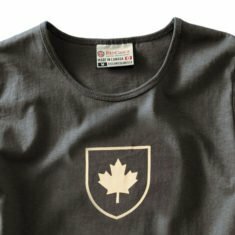 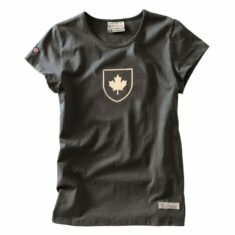 Screen printed Canada Shield logo. 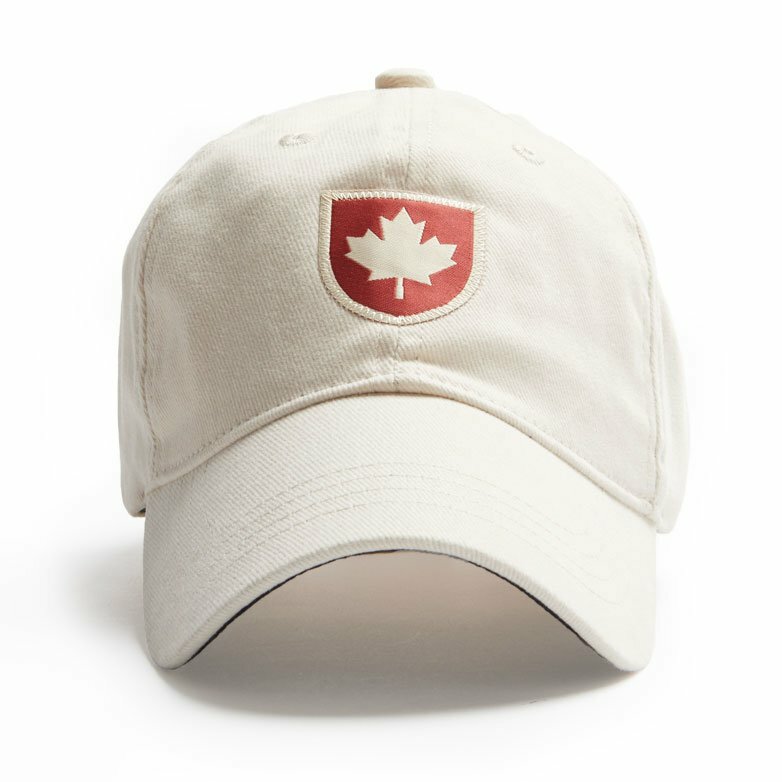 Red Canoe logo patch on right t-shirt sleeve. 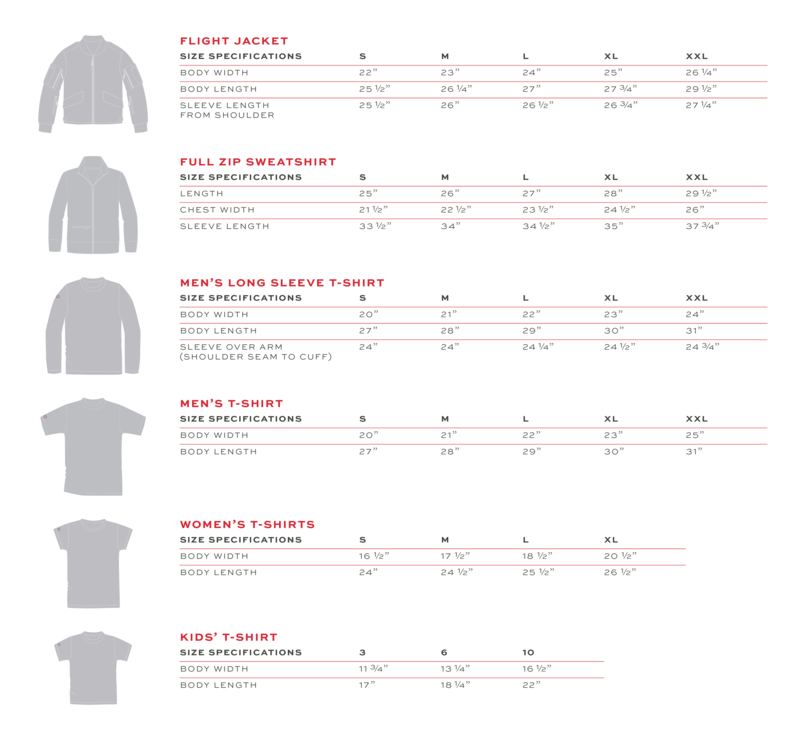 Washed after printing to eliminate shrinkage and add vintage appeal.